The tangy, deep flavor of aged vinegar is a wonderful way to enhance a simple side dish, like this balsamic roasted vegetables recipe. Serve it with roasted poultry or meat for a flavorful, economical meal. 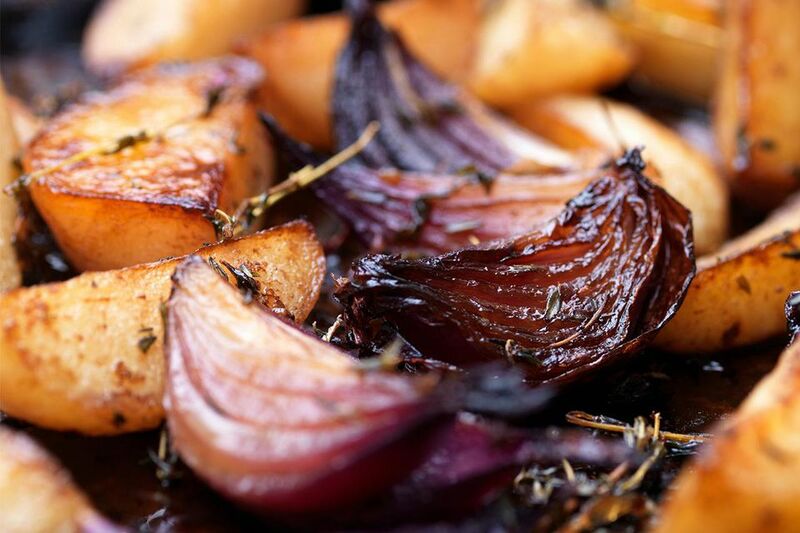 Heat the oven to 400 F. Toss the prepared potatoes, carrots, and onions with the balsamic vinegar, olive oil, garlic, and herbs. Arrange the vegetables in a lightly oiled, large roasting pan. Roast the prepared vegetables for 35 minutes, stirring every 10 minutes. Add the cut green beans to the pan and roast the vegetables for an additional 10 minutes. Arrange the roasted vegetables on a serving platter and season them with salt and pepper.